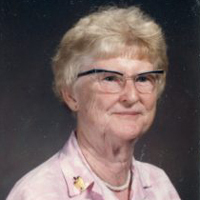 Webster University remembers alumna and former faculty member Sister Virginia Ann Driscoll SL, who died Dec. 29, 2017. A memorial Mass for her was celebrated Jan. 10, 2018, at the Church of the Seven Dolors on the grounds of the Loretto Motherhouse in Nerinx, Kentucky. Upon graduating from Loretto Academy, El Paso, Texas, she received a scholarship to what was the Webster College, where she also worked her way through in the library, directing the student orchestra, and accompanying Saturday morning dance classes. She graduated from Webster in 1940 with a BA in English. She then entered the Sisters of Loretto at the Foot of the Cross, making her first vows in 1943 and her final vows in 1946. After earning an MA in Spanish from Case Western Reserve, she returned to Webster in 1954 to take Sister Francis de Sales’ place as head of the Spanish department, a position she held for seven years, during which she planned a new language lab and recording room. In the summer of 1959 Sister Virginia Ann was the recipient of a Fulbright grant to participate in an eight-week summer seminar for American teachers of Spanish in Colombia, South America. She was one of 40 North American Spanish teachers who were selected for the seminar. In 1965, she was part of the Upward Bound Project Experiment to improve the historically low retention rate of black students in college. Six cities across the U.S. were chosen for the project, with one institution of higher education in each asked to participate. When Webster was selected at the participant in St. Louis, Sister Virginia Ann was one of the 14 teachers who were selected to run the project in spring and summer of 1965, with 200 St. Louis City high school seniors participating. Read more about her life in this Loretto Community profile, and at the St. Louis Review. With information provided by Sister Barbara Ann Barbato.